There are Endless Adventures in Bayfield County. Madeline Island, Madeline Island Ferry, Sailing and boating charters, Weddings, Sea caves, Ice caves, Golf, Sea kayaking, Charter fishing, Big top Chautauqua, Apple fest, Boat race week, Light house viewing, Book across the bay, winter fest, dogsled races, Ice fishing, cross country and down hill skiing at Mt. Ashwaby, shopping, free concerts in the park, nightly entertainment, hiking & biking on Brown stone trail and local trails, local orchard apple and berry picking, public swimming beach, East Dock Park and playground, pavilion and picnic area, barbecue grills, fishing peer, sand volleyball court, fine dining. Book Your Bayfield Condo Rentals Now! Special amenities for our guests and private, in house charters for that extra special, memorable vacation. Enjoy our unlimited, guests only, membership at the Bayfield Recreation Center. After a day of boating, sailing, skiing, fishing, or other outdoor activities, take the kids swimming or get your workout. Includes Olympic sized lap pool, hot tub, sauna, fitness center and racquetball court. 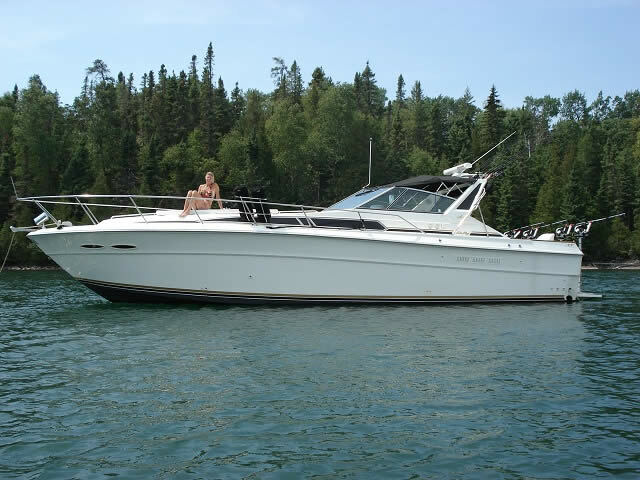 Book a full day or half day in-house charter aboard the Temptress, our 42 foot Sea Ray Express Cruiser. Options include fishing charter, light house touring, sea caves viewing, evening cocktail cruise or Island hopping.